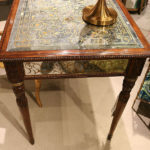 Reverse Painted Eglimose Carved walnut French Louis XVI Writing Desk Table WOW! 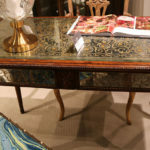 Reverse Painted Mirrored Eglimose Carved Walnut French Louis XVI Writing Desk Table WOW! Please note: We are now partnering with some of America’s finest designers and manufacturers to bring some of the hottest hand-made, solid wood, chic items available to our clientele that have been asking for them! These items are generally ready to deliver but some exceptions may apply. 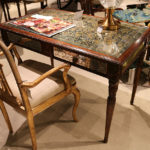 They are not in our showroom in New Jersey yet, but will be arriving shortly. Check for availability prior to buying just to be sure. 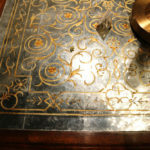 All of our items are the most luxurious and highest quality pieces money can buy for any price and reflect the luxurious look many people are searching for at reasonable prices. 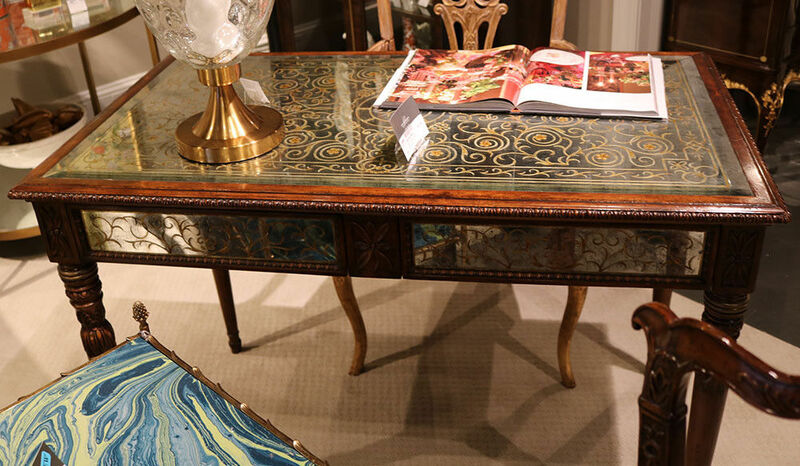 This incredible writing table is custom-made solid walnut and silver leaf mirrored eglimose reverse painted French desk. Look at the unmistakable styling cues from the famous firm Maison Jansen of Paris! 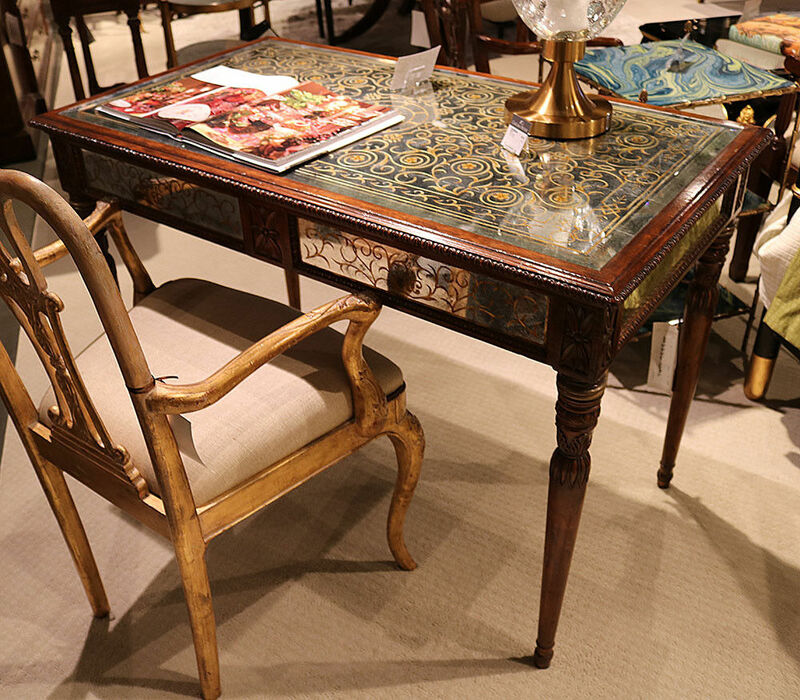 This is a custom-made desk designed to exactly replicate the original Maison Jansen original. The desk is in perfect condition. 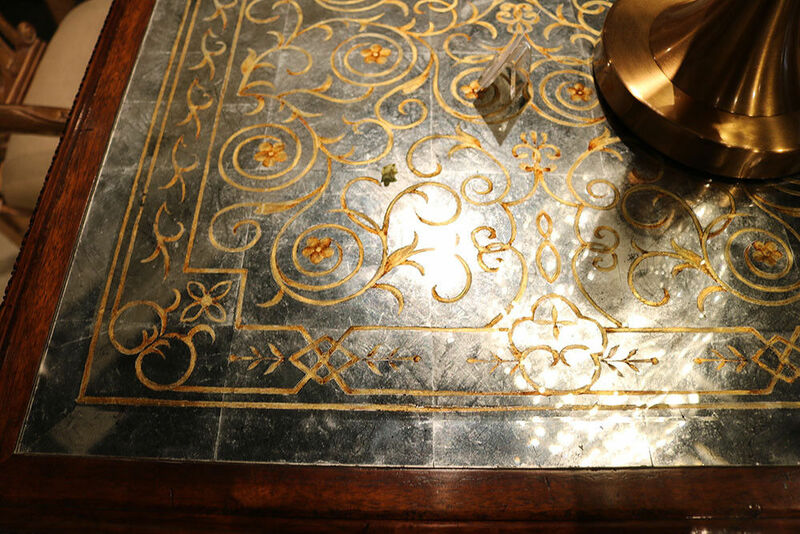 Notice the incredible solid quarter-sawn oak drawers and their dove-tailed construction. 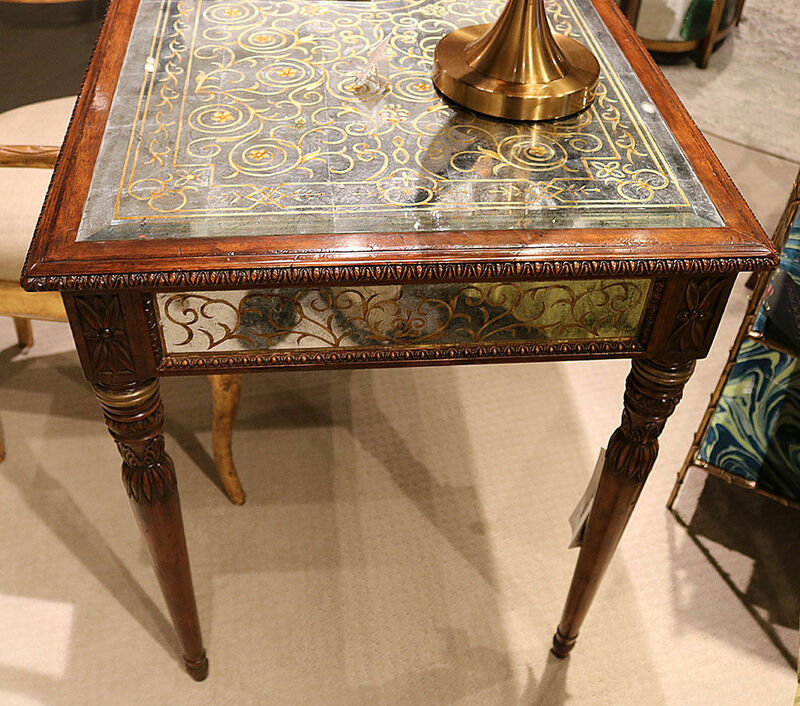 This is a wonderful piece of furniture and will thrill you with all of the authentic French antique details!